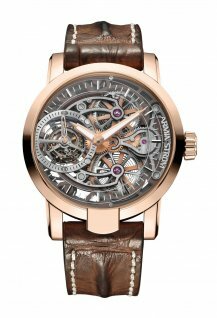 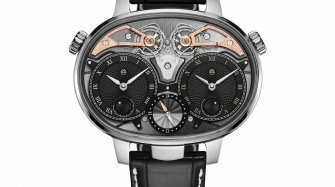 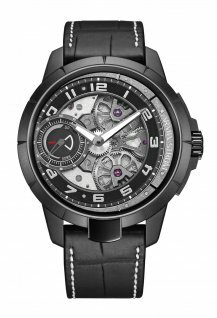 A new case in sapphire crystal reveals all the intricacies of Armin Strom’s ground-breaking mirrored-force resonance movement. 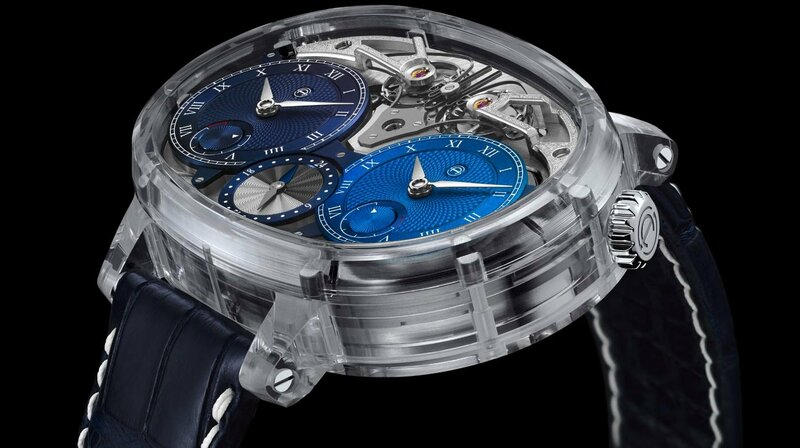 The view through the sapphire crystal case shows two independent movements (allowing two different time zones to be displayed) coupled by Armin Strom’s patented Resonance Clutch Spring, which is the key component that allows the two movements to beat in resonance. 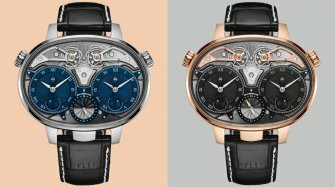 Switzerland’s CSEM (Centre for Electronics and Microtechnics) has officially certified this system as being a true system in resonance. 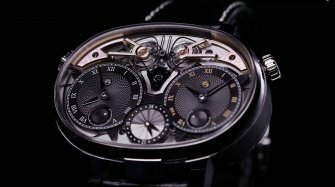 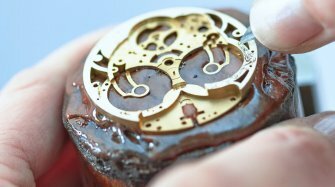 Armin Strom’s own laboratory testing has shown improvements in the order of 15-20% for two COSC-certified movements placed in resonance. 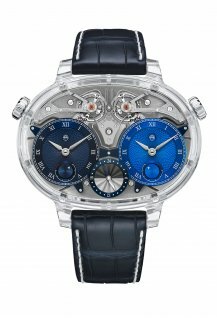 This transparent and scratch-resistant marvel is available as a limited edition of just eight watches, each costing a cool 280,000 Swiss francs.